The Village of Lombard, Illinois was incorporated in 1869, named after Chicago banker and real estate developer Josia Lewis Lombard. Lombard Real Estate values continue to rise. In 1881, an Italianate style home was built on Lombard’s Main Street and later became the home and studio of Harold Gray, the originator of the Little Orphan Annie cartoon strip. Some of the features in the house are drawn into his cartoons. Historic Downtown Lombard offers unique stores and a variety of community events throughout the year. 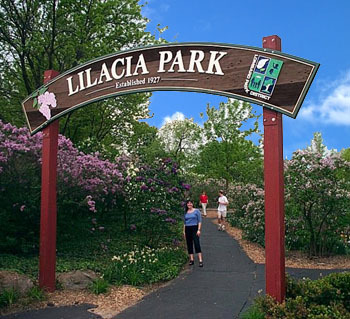 Lombard is home to the beautiful 8.5 acres Lilacia Park. The park has over 200 varieties of lilac bushes, 75,000 tulips, and other flowering plants. For over 85 years, Lombard hosts an annual Lilac Festival. Lombard, Illinois is located just 23 miles west of Chicago in DuPage County. O’Hare International Airport and Midway Airport are 30 minutes away. Lombard has easy access to I-88, I-355, I-290, and I-294 as well as Illinois Routes 38, 53, 56, and 64. The Metra Union Pacific train transports commuters to Chicago’s Ogilvie Station in just 35 minutes. The Village of Lombard has 17,971 households and a population of 43,492. The average household size is 2.39, and the average age is 40.5. The median family income in Lombard is $86,739. The median home values in Lombard are $ $241,700. For additional information on the Lombard Real Estate Market, contact a Real Estate Broker at Wenzel Select Properties. Call us today at (630) 430-4790. If you are interested in purchasing a home, condo or townhome in Lombard, we invite you to visit our property search page to look for properties available in Lombard, Illinois. Elementary School District 44 serves almost all of Lombard. The district has a reputation for academic excellence. Seven elementary schools and one junior high school comprise the district. School District 45 has seven schools, only three are located in Lombard. Some students attend School District 41 and 89, in Glen Ellyn. Glenbard East High School is located in Lombard. It is one of four high schools of District 87. Glenbard East is one of District 87’s “four-star” schools. Other Lombard students attend Willowbrook High School in Villa Park and Montini Catholic High School in Lombard. Lombard Park District offers a variety of recreational programs for all ages. Enjoy a day of golfing at the nine-hole Western Acres Golf Course. The Sunset Knoll Fitness is equipped with a variety of cardio and weight training machines. Paradise Bay Water Park features something fun for everyone! Hurricane Cove is a pool with fountains, water sprays, and whirlpool. Dolphin Cove is an 8-lane lap pool for swimming, water basketball, and volleyball. There is also a diving board, body slide, bowl slide, speed slide, and water walk.